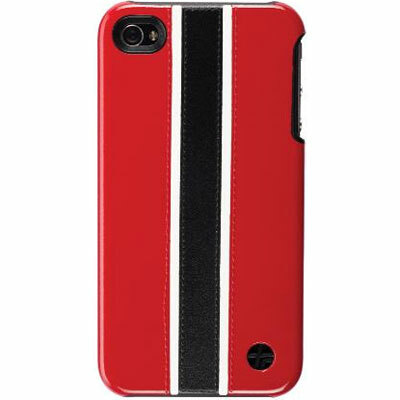 Snap On Racing Series WBW on Red case for iPhone 4/4S. Get your iPhone ready for the race! The perfection of the three paralel stripes will remind you the exciting spirit of racing... The feeling of genuine leather, perfection of handcrafted stitching, and the lifetime warranty ensure its quality... By Trexta.